Can you believe it's already time to start thinking about summer camps for your kiddos this summer? Registration has already opened for Staheli Family Farm's Farm Camp and Western Legacy Farm & Ranch's Farm Camp & Cowboy Camp. I'm sure spots will fill up quickly because these seem to be popular camps. Staheli Family Farm's Farm Camp has already filled a bunch of spots so if this one interests you don't delay registering! Staheli Family Farm is located in Washington, Utah. You can register online. There will be NO DAY OF REGISTRATION! Western Legacy Farm & Ranch is located in Hurricane, Utah. 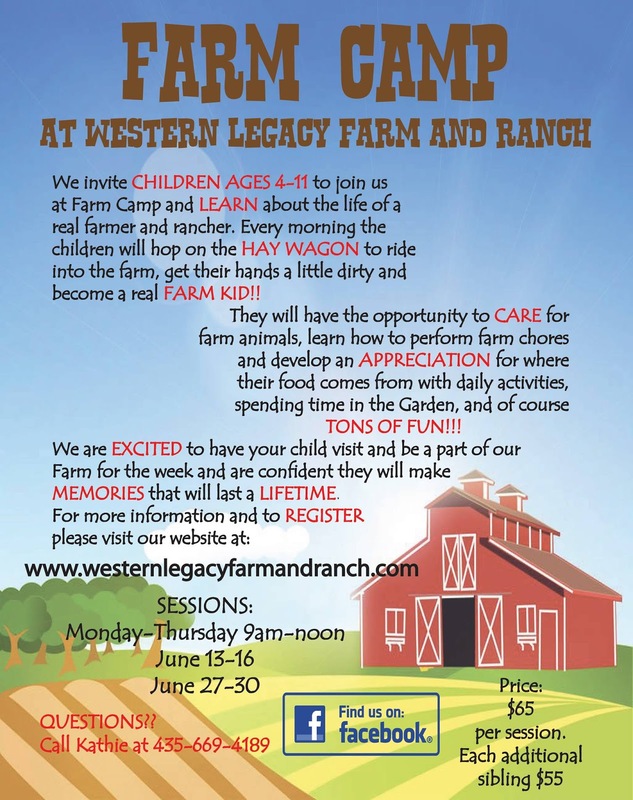 This farm camp is for children ages 4-11. You can register your kids for this camp online. 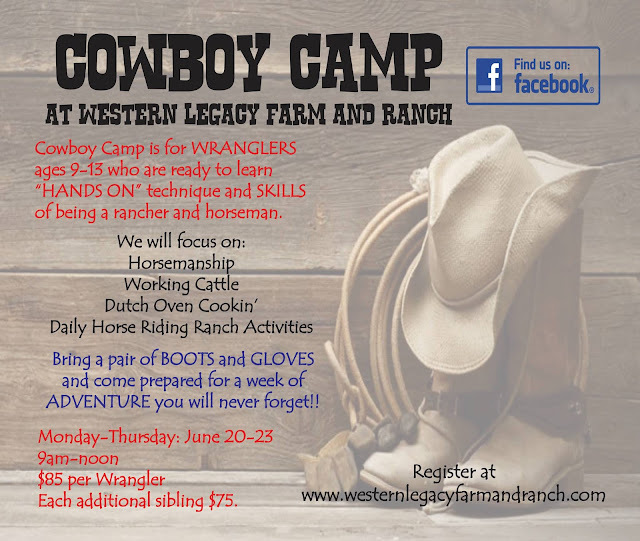 Western Legacy Farm & Ranch also has a cowboy camp at the end of June. This is perfect for your older kids age 9-13 who want a more hands on camp. You can also register for this camp online.